P.K. Architecture L.L.C. was established in September 2001. 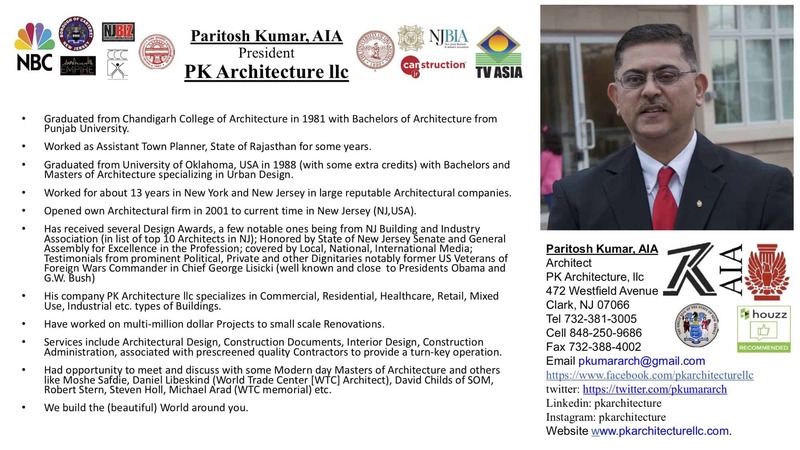 However, Paritosh Kumar, the principal architect of the firm, has about 32 years of experience in the architectural field (including about three years of experience in Town Planning and Interior Design). P.K. Architecture L.L.C. are commercial/residential architecture experts. We strive to create an environment that enhances the quality of life in that region while preserving public health, safety, and welfare. Our aim is to achieve all this within the client’s budget and timeframe, with due importance to quality control. P.K. Architecture L.L.C. gains strength through the fact that we are a small but fast-growing company that offers personalized service at a competitive price and technology-oriented expertise. 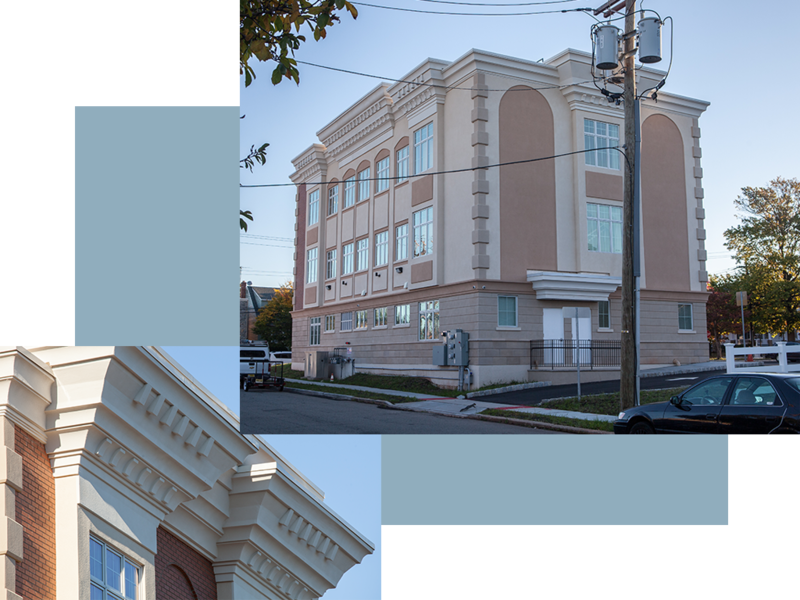 We are a New Jersey Architectural company offering architect services ranging from residential and commercial projects and everything in-between. 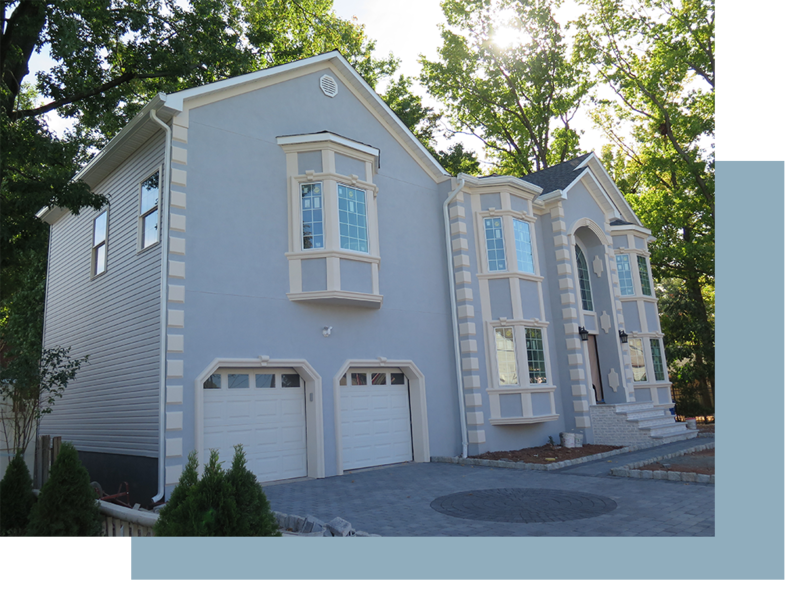 Located in Union County, NJ,- we provide architectural services for Colonia, Avenel, Iselin, Elizabeth, Linden, Plainfield, Rahway, Summit and other surrounding areas and counties in New Jersey. P.K. Architecture, the source for all your architectural needs. We believe architecture best serves its purpose when the client/user of that space/environment has realized his highest aspirations. Our goal is architectural integrity, which is to create an environment that will enhance the quality of life in that region and influence higher social values while preserving public health, safety, and welfare. Needless to say, the client expects his project to be built within time and budget constraints while controlling quality. We understand this aspiration of the user/client and strive to the best of our ability to achieve that goal. We believe in establishing project goals at the very beginning by finding the client’s requirements and balancing them with professional goals like code compliance, functionality, structural, mechanical, construction and social issues balanced with aesthetic requirements. We would like to be in constant communication with the client and apprise him of problems, provide him with alternatives, keep him informed of the progress and work with him to resolve any outstanding issues in a timely fashion. In this age of technology, we believe we cannot get far without using it to our advantage. Therefore, we provide our services via computer-aided design and drafting, including 3D renderings, etc.